Experience the best of a Lanzarote holiday with a stay in the modern and well-appointed Sol Lanzarote Aparthotel. Perfect for families, groups and couples, the Sol Lanzarote Aparthotel enjoys a prime location on the oceanfront, offering direct access to Matagorda Beach from which to enjoy the pleasant year-round warm temperatures in the Canary Islands. Guestrooms and Suites at Sol Lanzarote Aparthotel are spacious and equipped with all the amenities to make your stay comfortable, as well as affording stunning views overlooking the island. The Sol Lanzarote Aparthotel restaurant serves up a global taste experience with cuisine including Mexican and Asian dishes at different times of the year, as well as Spanish favourite of tapas. Furthermore, there are also a fantastic array of night-time activities, including, bars and clubs all within easy walking distance. Sol Lanzarote Aparthotel is located 3 km away from Lanzarote Airport. The property is only walking distance from the Matagorda Beach, as well as a variety of shopping spots, bars and restaurants. A little further out and you will find numerous family-friendly outdoor activities across Lanzarote, including theme parks and water parks. Rooms at Sol Lanzarote cater to families of all sizes, from sole travellers to larger families and groups. Guests will have options including the Sol Rooms, Family Rooms, Sol Suites and Superior Rooms, each equipped with modern conveniences such as Wi-Fi, television and air-conditioning to ensure a comfortable stay. You can take your stay up another notch by booking one of the rooms with a garden, sea or mountain view. The Sol Lanzarote Aparthotel features the premium Horizon Tapas & Sushi Restaurant, serving the finest renditions of Spain’s famed cuisine and fresh cuts of Sushi cultivated from local catches. 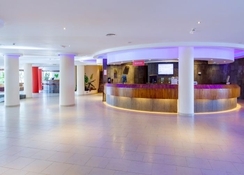 This is complemented by the Buffet Restaurant serving international cuisine throughout the day for breakfast, lunch and dinner, while the In & Out Lounge Bar offers snacks and light bites alongside cocktails and fresh juices. 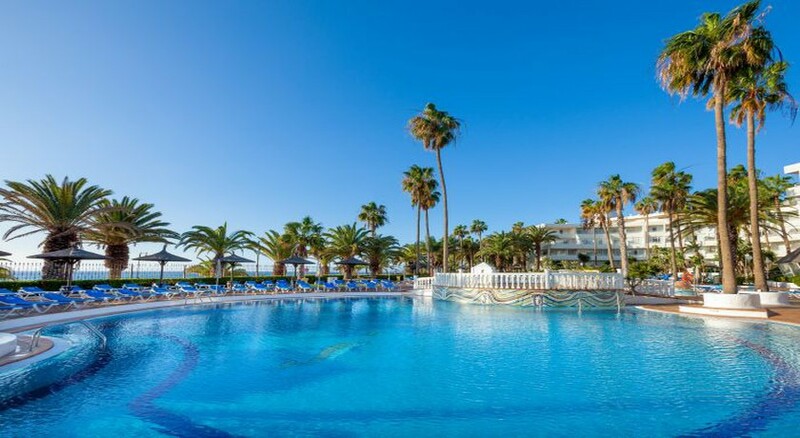 Sol Lanzarote features a range of excellent facilities for adults and children, including swimming pools, a fitness centre, a sauna, sports activities and a games room. Thanks to the hotel’s beachfront location, a number of operators offer fantastic water sport activities such as scuba diving, jet-skiing and parasailing whilst back on the sand you can take advantage of beach volleyball. Travellers with children between 5 and 10 years old will find a specialist children’s entertainment programme offering days filled with fun activities delivered in a safe and secure environment facilitated by specially trained staff. I stayed here in April 2018. From my arrival to leaving my stay was amazing. I upgraded to a sea view room which was kept clean throughout my stay. The staff were so helpful and polite. It was my birthday whilst there and I returned to my room to find a bottle of champagne sweets and a lovely birthday greeting. The hotel throughout was kept clean and tidy. There was a nice choice of food everyday although at times a little cooler than it should be. I have a special diet but managed quite well loved the rice dishes. Restaurant can get very busy and a little chaotic at peak times, could do with some kind of seating plan eg greeter showing guests to their table. I was a solo guest and lost my table twice. Only other criticism would be the mattress slightly hard but did not overly bother me. Loved the hotel that much that I'm returning September 2018.Hotel is right on the beech ,entertainment good and all inclusive cocktails better than average . The hotel is in an excellent position for the main resort and only 5 minutes from the airport.